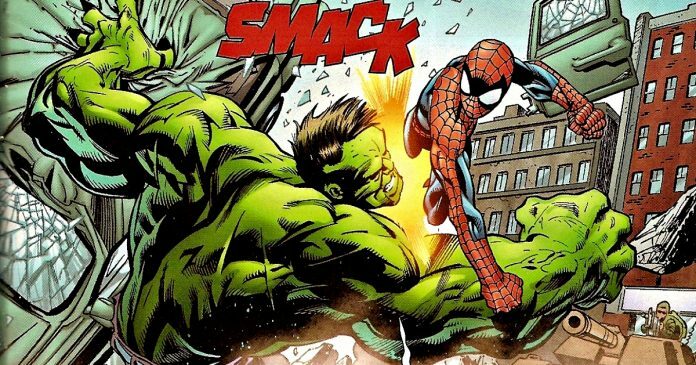 The Time When Spider-man Defeated Hulk By Tossing him Around And Punching Him Hard, Heres' How It Happened. The Time When Spider-man Defeated Hulk By Tossing him Around And Punching Him Hard, Heres’ How It Happened. 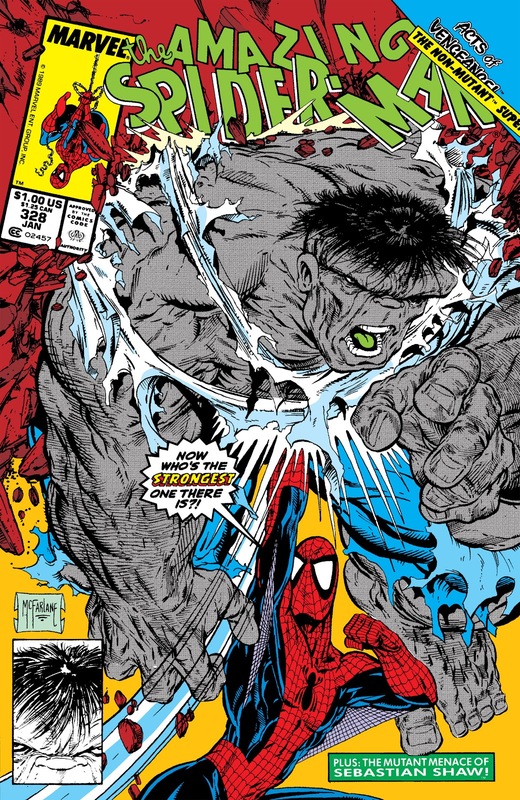 It is surely a whole lot of fun to see Bruce Banner become angry and transform into the Hulk. The Green Goliath starts smashing everything in his way and destruction is bound to happen. 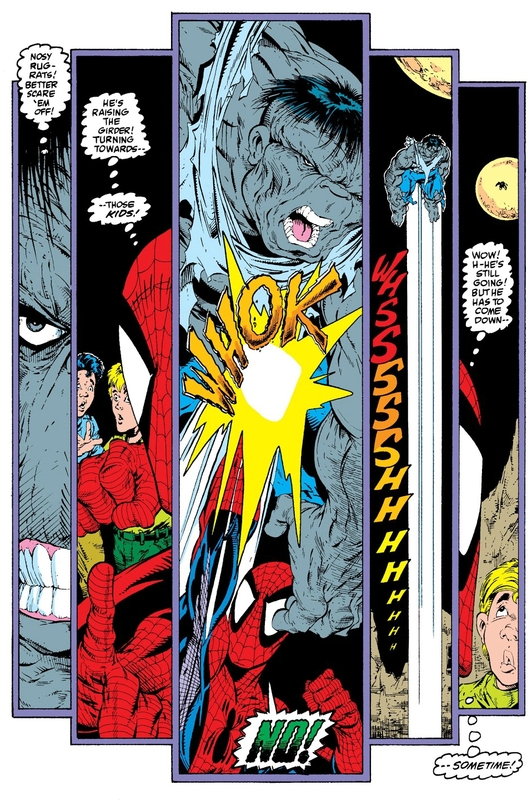 But in spite of all this, there were heroes who have fought and even defeated Hulk. 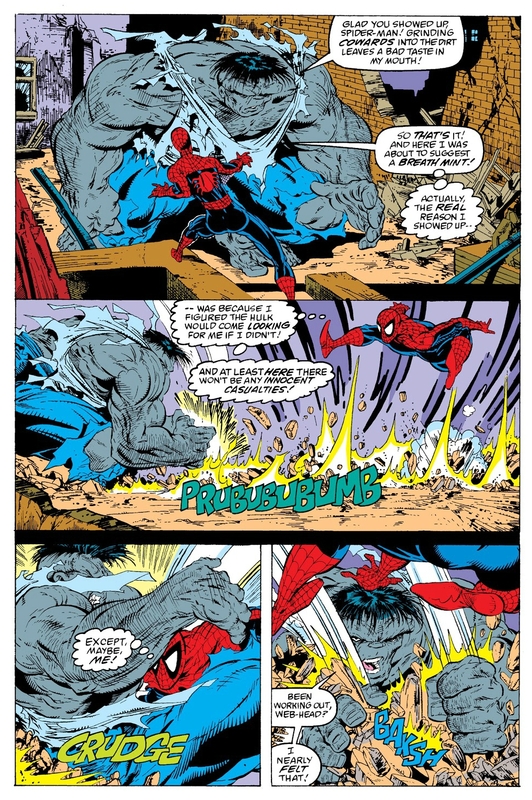 Spider-Man had once faced off the Hulk, but his strategy is about luring Hulk into a less populated area and attempting to avoid getting knocked into the stratosphere. 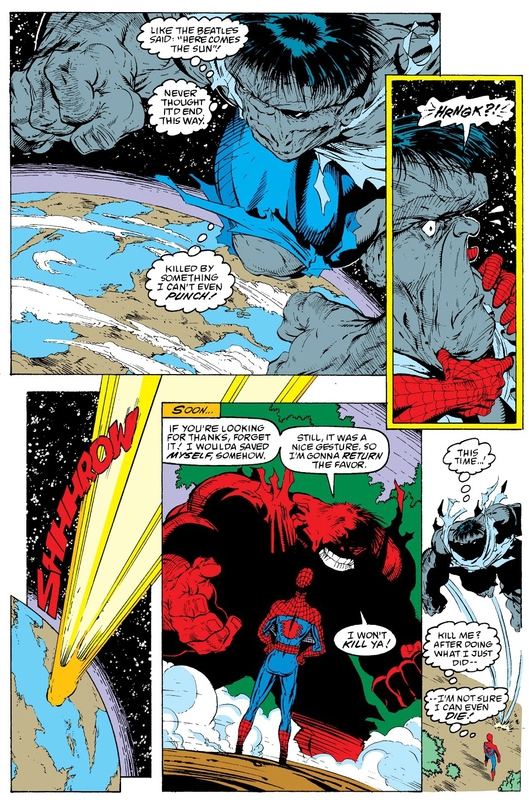 In the Acts of Vengeance, since Spider-Man had been imbued with Captain Universe, he was a threat to the villain group, Acts of Vengeance. Since the introduction in Marvel Universe, Captain Universe has chosen many worthy individuals as the hosts. These characters were bestowed with great powers like super strength, stamina, speed, telekinesis, flight, and a lot more. 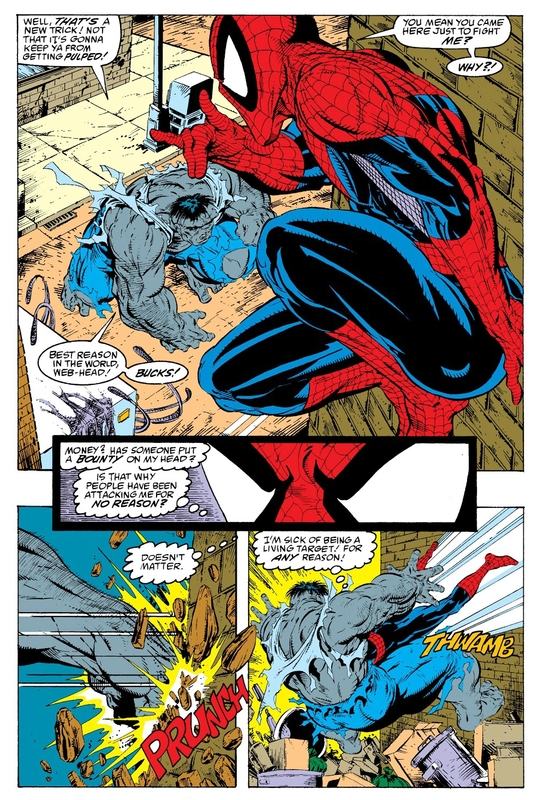 The villains had manipulated the Hulk so that he would kill Spider-Man. 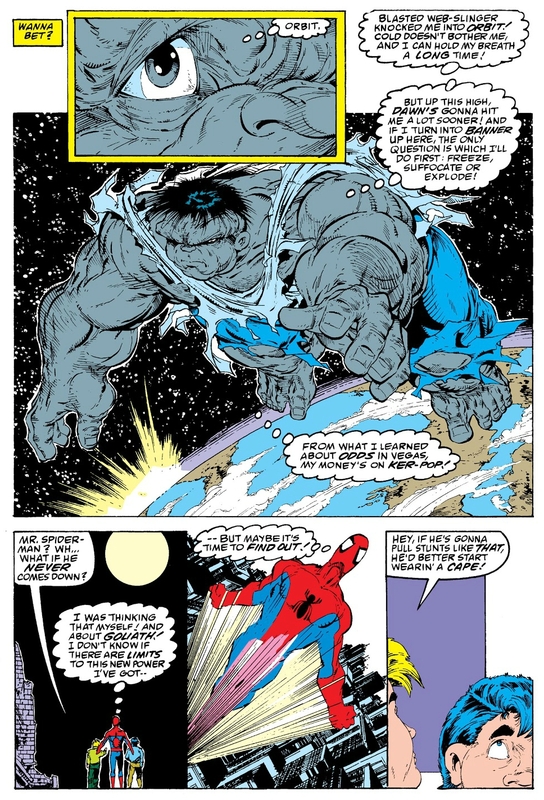 The Hulk and Spider-Man start fighting, and when an angry Hulk was about to hurt two children, Spider-Man uses the cosmic powers of Captain Universe and then punches Hulk, and he goes into space. 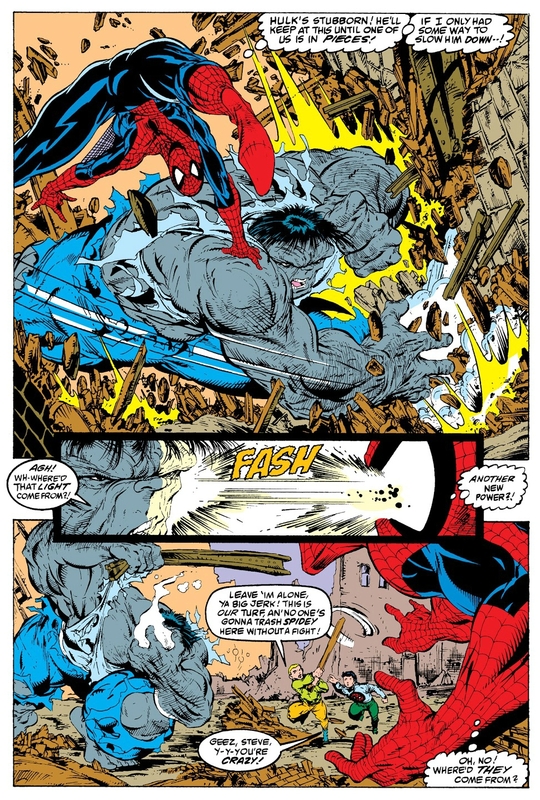 Spider-Man then flies up in order to rescue the Hulk, which the Hulk is grateful for and then promises to leave the young hero alone.